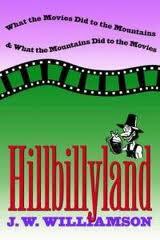 I am currently working on compiling a Filmography for the class I am creating for my Appalachian Studies Professor. For future reference, I am going to start referring to this class as Appalachia in Film. This likely will be the name of the class I choose but I digress. J.W. Williamson already composed a wonderful list of movies, television shows, cartoons, etc. that he used to write his book, Hillbillyland. His list, which can be found here, is extremely thorough. It’s only downfall is that it ends in 1995. Using this list as a foundation, I plan to build on Williamson’s work to include modern depictions of Appalachia in film for modern 21st century depictions; and also to add cultural relevance for modern students in the class. Below is the list so far. I will continue to update the list as it grows. If you have any suggestions, please feel free to drop them in the comment box. (1995)Pharaoh’s Army: A Very Private Civil War – East Kentucky, Civil War cavalry captain moves in to take enemy livestock. (1997) Fire Down Below – Hills of Kentucky, Industrialists poisoning the lands, Steven Seagal comes to save the day. Next Happy Birthday Jackie Robinson!! !